Thank you for taking the time to learn more about educational programming provided by Windham School District (WSD) within the Texas Department of Criminal Justice (TDCJ). WSD aligns job opportunities and learning with instruction and class offerings for offenders. The result: a productive, positive journey for offenders seeking workforce reentry. WSD accomplishes this through enhanced program offerings and classes requiring significantly elevated skill levels. We have improved programs by adding new components to existing courses, and we have worked with experts to bring the best possible educational opportunities to our students. In addition, WSD has expanded partnerships with industry and community workforce boards. These alliances support the alignment of courses with employer demands throughout the various regions of Texas. Windham recently revised its life skills offerings. Experts in cognitive and criminogenic change processes worked with Windham staff and community stakeholders to improve two essential life skills classes: the Cognitive Intervention Program (CIP) and Changing Habits and Achieving New Goals to Empower Success (CHANGES). With these advances, Windham uses assessments to better measure outcomes for students while identifying areas students and instructors can work to improve. Academic gains for students in the literacy classes at Windham are among the highest in the nation. Students can expect academic advances of between two to three years for every year of instruction within Windham classes. Furthermore, the classes are aligned with job skills needed in vocational occupations to better prepare students for work; classes bring real-world relevancy to daily lessons. In addition, Windham has redesigned services for special needs students to better serve those with learning disabilities and other barriers to effective learning. They, too, are making the journey to find employment and successfully reenter society. Vocational trades at Windham have expanded to include skills needed in science, technology, engineering, and math (STEM) middle-level jobs. These include computerized numerical control machining, fiber and copper cabling, computer controls programming, and telecommunications. Windham has also partnered with TDCJ to provide training and United States Department of Labor-approved apprenticeship program participation for workers in various jobs within TDCJ facilities. By aligning the educational skills with job requirement skills, offender workers are able to apply the knowledge obtained through Windham with real-world job experience at TDCJ units. Windham has implemented many changes over the past three years. By carefully evaluating program outcomes in student gains and employment upon release, WSD helps reduce the cost of incarceration. The cost to taxpayers for crimes committed in communities is also reduced. This journey of continuous improvement, driven by data analysis, has strengthened academic growth during incarceration and lowered recidivism rates for those students who participate in Windham programming. 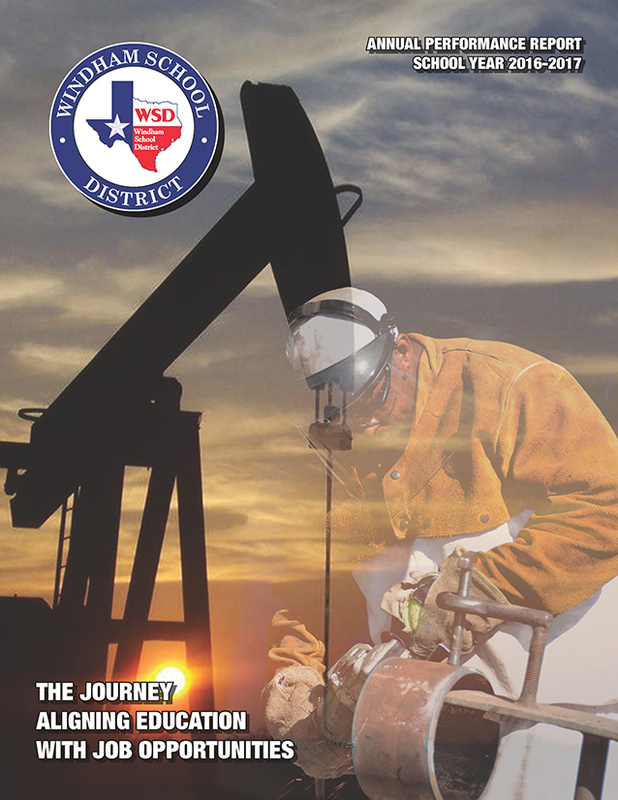 Windham is always looking for new ways to better serve the State of Texas, and I hope this Annual Performance Report provides you with evidence of the quality education the teachers and staff at WSD provide to thousands of men and women each year. Our students’ journey to success has begun.